Typically, after-school conversations with my 6-year-old aren’t about my queerness. Most days we recap his day, who he sat with at lunch with and what he ate. He always asks about what I did at work and tells me about his own career dreams of building rocketships or inventing something. But this time was our conversation was different. I always knew that as a queer, Black woman raising a child on my own, I wanted to be open with my son about my queerness eventually. However, I never expected it to happen on an otherwise uneventful spring day riding home on the city bus. It all started when he told me about how he told a few of his friends that, unlike their parents, I’m not married. I acknowledged his observation and went on to explain that being married would change a lot about our lives. “We’d have to probably move and someone else would be around you all the time.” He quickly fired back, “You don’t even have a boyfriend!” When he said that, I immediately felt my body shrink into the city bus seat like I was an awkward 13-year-old all over again. “Yeah, well, I don’t have a girlfriend, either,” I said. 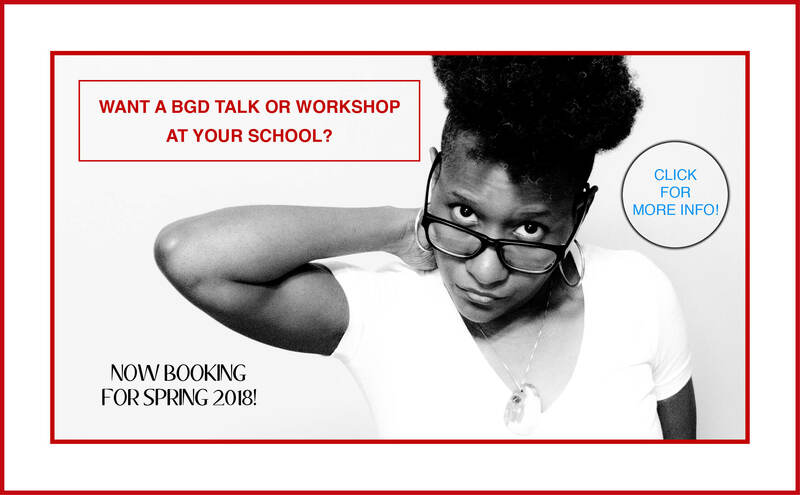 BGD is a reader-funded, non-profit project and WE NEED YOUR HELP to continue our work! His bright, brown eyes shot up at me, looking bewildered, he said, “you can’t marry a girl.” I gathered my breath and my thoughts. Regaining control of my posture, I sat up in the seat, “Honey, I can marry whoever I wish. The person I choose to marry can be a man or woman. Love is love.” He looked at me in agreement, seeming satisfied with the answer. Even though I always imagined that during this conversation my voice would tremble or words would fall out that he didn’t understand, none of that happened. Until now, I haven’t had to face navigating my queer identity as it relates to my child born from a hetero-monogamous relationship. 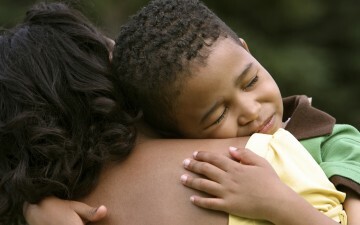 But I have decided that raising a child and being a queer Black woman means communicating with my son, walking in my truth by refusing to keep it hidden. Before this conversation, I didn’t know how important it was to me for my son to know. Since having told him, I feel more confident to speak to him about my dating relationships (within reason and age appropriateness, of course) but it’s freeing to know that my son won’t look at me strange if I’m sitting on the couch holding hands with a woman. Learning the importance of sharing pieces of my identity with my son has led to other conversations that need to be had. Parenting in and of itself is already hard; especially raising a Black kid in a white supremacist world. Through talking to my son about my identity, I’ve learned that it’s also a moment for me to talk to him about his identity as a young Black boy by encouraging him to love his Blackness no matter what. And together we are learning about my queer identity and what that means to love beyond heteronormative standards. I hope for him to explore books and gain a vocabulary that is inclusive of all people and all types of love. I want my son to stand up to bullies in the face of any kind of injustice and call out people when they are wrong. As my relationships change with dating both men and women and as he ages, I know he will have more questions. But coming out to him seemed natural and I allowed him to lead the conversation. Along with my 6-year-old, I am learning that it’s ok to be who I am. I am learning how to navigate in the world being open again about my truths, something that I hope my son will learn with me. Raina is a writer with Midwestern roots and East Coast dreams. She writes about mental health in the Black community, parenthood, and her experiences as a queer woman of color. Her work has been featured on The Establishment, For Harriet, and MyBrownBaby.